For almost three decades, C.S. 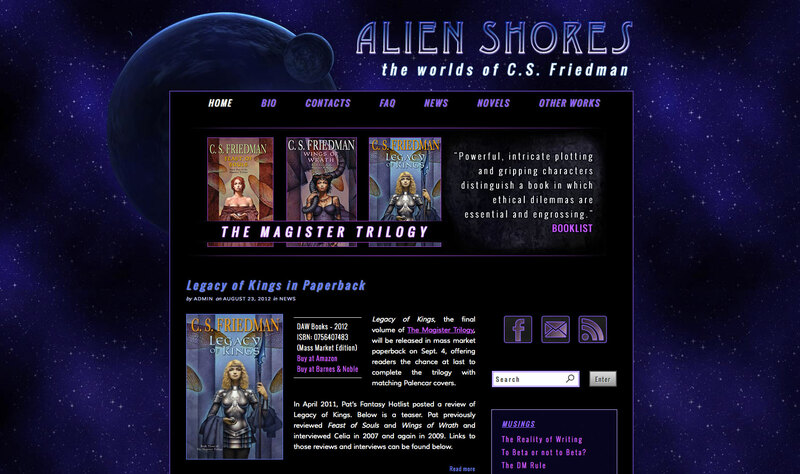 Friedman has been writing thrilling works of science fiction and fantasy. The New York Times named This Alien Shore a Notable Book of the Year. For years, fans have lauded her Coldfire Trilogy as a classic of dark fantasy. 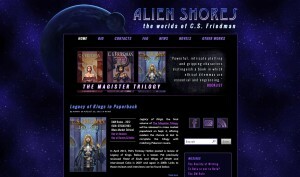 Most recently, Friedman finished another startingly imaginative series, The Magister Trilogy, continuing to cement her reputation as one of the most underrated authors of science fiction / fantasy today. In addition to writing, Friedman has a background as a costume designer and jewelry maker. A fan of jewel tones, she brought a very clear vision of what she wanted in her new website. Set on a dark background, we knew the site would be eye-catching and memorable.